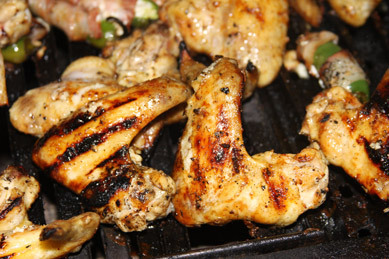 Big Show BBQ Co. hails from Kansas City one of the most famous barbecue towns in America. Big show "Joe" grew up cooking for his family and friends. They all knew that his talents where too good to stay in their neighborhood. 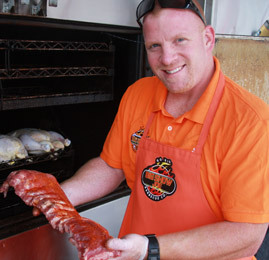 As the bigger groups consumed the slow smoked, rubbed specialties the urge to compete became to much. Big Show now has awards from OH, IL, PA, IA, NC, MI, WY, CA, NH, MA and isn't stopping yet. Serve great food that lives up to our Kansas City roots that leaves people impressed and satisfied. Stay true to our slow smoking traditions and combine them with delectable accompaniments. Tantalize the taste buds, inspire comfort and be more than anyone expects. Big Show "Joe" Joe has just about done every job imaginable, but his love for BBQ has finally ruled all other passions. A real people person, that shares his food and provides so many people that true comfort experience most can only dream of. Billy B Billy B started grilling back in 1988 and opened many a joint, he loves the road and the people he meets. "Sunshine" Brandy A personality bright enough to fill your day.